We now are over 4 billion people online whose 3.3 are active social media users. Even more striking: over 5 billion people own a mobile phone, either smart or not. The world is quickly shifting toward the onlife (online + offline). 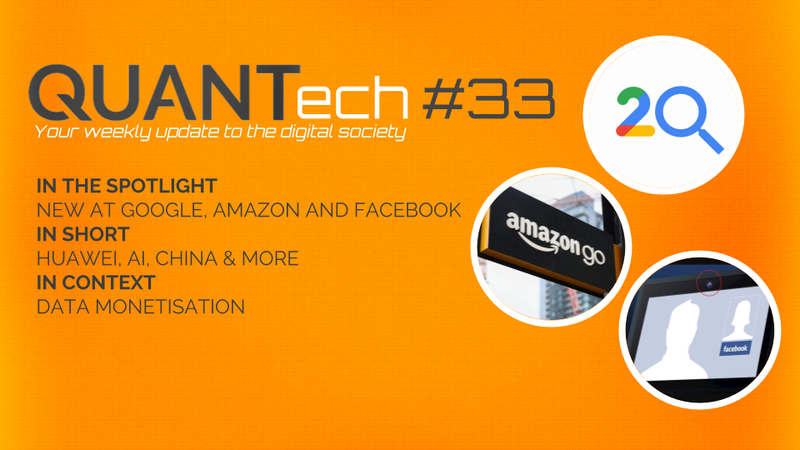 With Q3 stats came figures platform by platform. We will note results shared by Facebook’s chief executive Mark Zuckerberg (whose personal protection spending will reach $10 million this year). Two noteworthy lessons are to be highlighted here: the social network lost a whopping 20% in ad clicks and three million active users in Europe. Whether Cambridge Analytica, GDPR, summer slowing or anything else, such results had direct impact on the Facebook share with the company losing $119 billion in Wall Street in a blink of an eye. Mark Zuckerberg’s wealth valuation was worth $15.9 billion less, too. Meanwhile and more recently, Facebook’s « We’re sorry » video was spoofed by John Oliver in a way that was both funny and truly questioning at the same time. 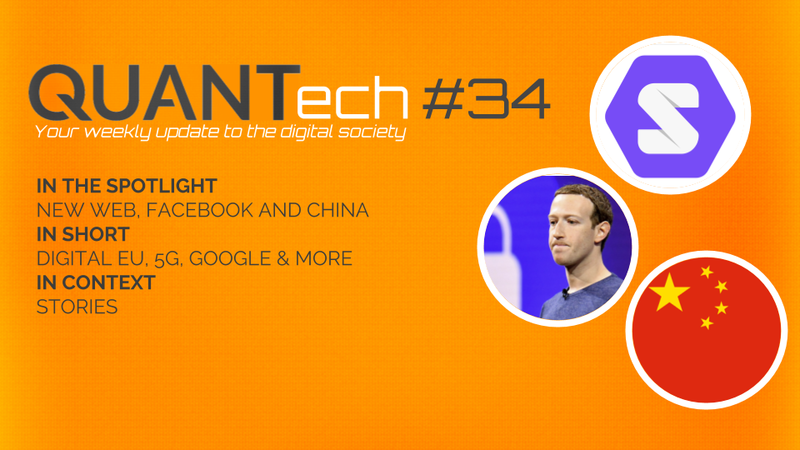 All in all, this whole Facebook thing shows how ingrained the social network has become in people’s life worldwide even though it keeps struggling with China (failing again, in Hangzhou this time). On the topic, I came across a very interesting article from The Atlantic this week, which asked the question of whether Facebook is here stay as a key (digital) element of the social fabric. A few quotes are worth putting forward. Another long piece published by We Are Social this week asks what social will look like in 2028. Some thinking to go with to envision the role Facebook is to play in tomorrow’s society. 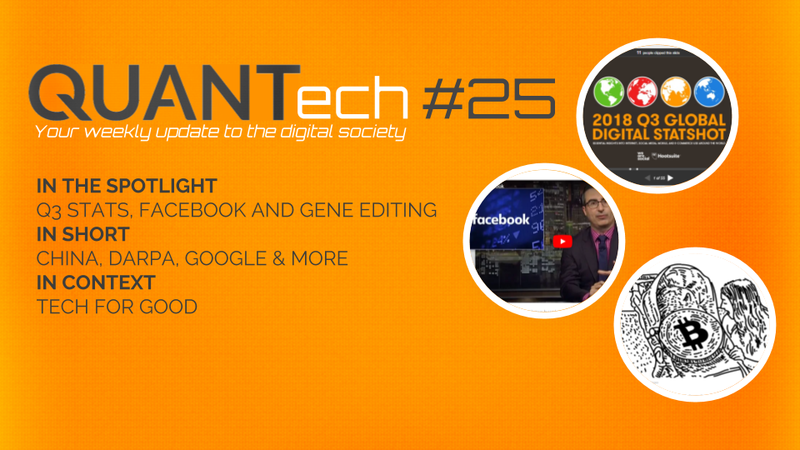 I focused on gene editing in last week’s QUANTech. The thing is that relevant stories are worth reporting about the topic this week. 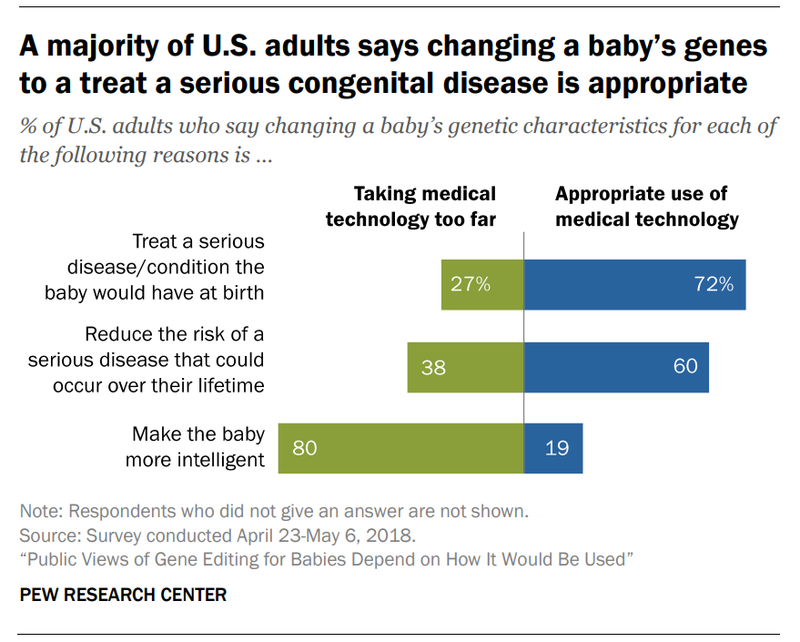 The Pew Research Center released the results of a survey they carried out lately about how comfortable Americans feel about gene-editing embryos to create healthier babies. The results are supporting more than cautious. The so-called CRISPR could be massively used for gene-edited crops or transplant organs from human-pig hybrids. The ethical debate has just started. And the question is: will there be any consensus as the West and China may share different views on the matter. Among all the articles I read this week, one of them specifically caught my attention: « The first ‘blockchain baby’ is here » —huh wait, what? There you have it, another use case showing how good tech can be. If there is one never-ending debate to keep us busy for a long time, it is whether tech is good or bad for society. It simply is none of them. It is both, what French philosopher Bernard Stiegler describes as a pharmakon: a Greek word which means remedy and poison at the same time. Technology is a pharmakon. It is what we make it that makes it. And all new technology will always bring about its batch of concerns and challenges as innovation, which is inherent to human history, shakes up the status quo. Technology will always have desirable and undesirable outcomes whose the latter must be anticipated as much as possible in the early days of development. It is not all black or white. Technology simply is imperfect, so are we. All in all, the problems caused by today’s technology will only be fixed by tomorrow’s technology.